TIA mini stroke symptoms can come in many forms, and are often brushed aside. Your leg crumples under you as you walk down the sidewalk. "That trick knee of mine is acting up again," you think. Or you're suddenly overcome by a dizzy spell. You skipped lunch today, so low blood sugar is your excuse. While both of these explanations are entirely plausible, you may be missing the signs of a transient ischemic attack (TIA) if you jump to conclusions too quickly. What is a TIA mini stroke? A TIA, or mini stroke, is a problem in the blood vessels of the brain that causes a temporary decrease in blood flow to a certain brain region. To appreciate a TIA, it helps to understand each of the separate terms in its name, says Dr. Louis Caplan, professor of neurology at Harvard-affiliated Beth Israel Deaconess Medical Center. "Transient" refers to the fact that these episodes are most often very brief, lasting less than an hour. In fact, most TIAs are over within a few minutes. The term "ischemic" specifies that the symptoms result from an obstruction in blood flow, and "attack" refers to an isolated event. The chain of events that leads to a TIA is basically the same for as a stroke, says Dr. Caplan. "A person who has a TIA has had ischemia but has 'ducked the bullet' because there was no lasting damage to the brain. But the same underlying causes are still present and are very likely to cause a stroke in the near future." What are common TIA symptoms? Stroke and TIA symptoms can vary widely depending on the part of the brain that is affected. To further complicate matters, other neurological disruptions such as migraines, minor seizures, and low blood sugar can mimic TIA symptoms. The distinguishing feature is that a TIA or stroke stems from decreased blood flow located in one particular blood vessel in the brain. Therefore, the effects are most likely to be localized to a specific brain function, such as speech or vision, or to cause isolated weakness in one limb or side of the body (see the box below for warning signs). In contrast, conditions that mimic a TIA tend to create multiple or more widespread neurological effects, including fainting and generalized tingling in the arms and legs. Because it can be difficult to distinguish problems resulting from reduced blood flow versus other brain disruptions, Dr. Caplan warns people to not just ignore the incident or attempt self-diagnosis. Instead, the best action is to be evaluated at a hospital TIA clinic if you have one nearby, or go to the emergency department to be checked out as soon as possible. The first step is determining whether your episode did indeed stem from lack of blood flow in the brain. The doctor will rely heavily on your description of the timing, the duration, and your experience during the episode. Noting which part of your body was most affected can provide clues. You will also undergo brain-imaging tests, such as computed tomography (CT) or magnetic resonance imaging (MRI) scans that can show brain injury. Sometimes these tests include angiography, in which a special dye is injected into your veins before the scan to highlight areas where the blood flow may have been compromised. Another red flag for a likely TIA is the presence of other cardiovascular risk factors. "Typically, people who have TIAs have a history of heart problems. They also tend to be middle-aged or older; to have diabetes, high blood pressure, and abnormal cholesterol; to smoke; and to get little exercise," says Dr. Caplan. When treating TIAs, the ultimate goal is to prevent a full-fledged stroke. Since it's hard to know in the moment the extent of the blockage, you may be given a clot-dissolving drug immediately. 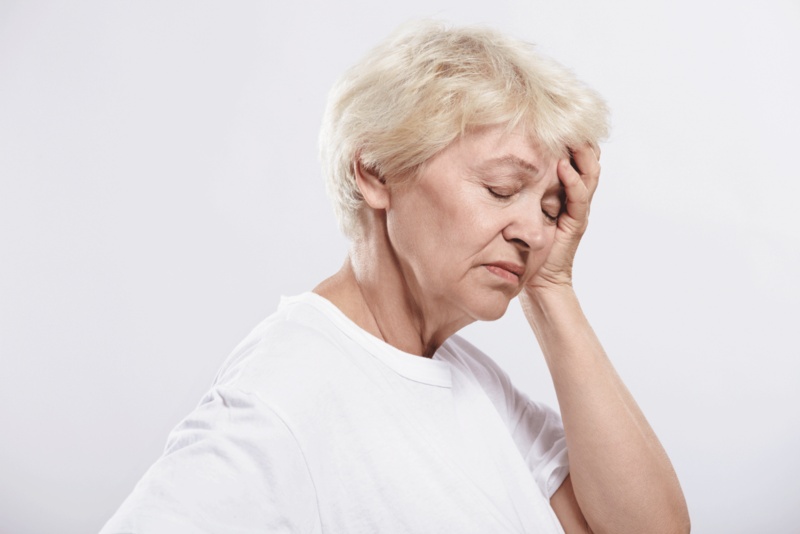 If the event is truly a stroke, ideally the medicine needs to be given within three hours after your symptoms start for it to be most effective. Ongoing treatments will include anti-clotting medications and drugs to lower blood cholesterol. If one of your carotid arteries (found on either side of the neck) is significantly narrowed, you may have a procedure to correct the problem. This procedure—carotid endarterectomy or carotid artery stenting—may help prevent future TIAs or strokes. Taking steps to reduce TIA risk factors is also critical. Lifestyle habits (eating a healthy diet, getting regular exercise, and not smoking) are a central part of any treatment plan.